The envelope system is something my mom taught me right before I left for college. Use cash only, take it all out at once, store it in envelopes specifically designated for certain things, and when it’s gone it’s gone. You may not borrow from envelopes. No stealing gas for groceries. You have a budget and you must stick with it. It worked well for me. It taught me discipline and helped me to plan ahead. We decided to do it again this year, and I asked the kids to help me out. That worked out very well, in fact. 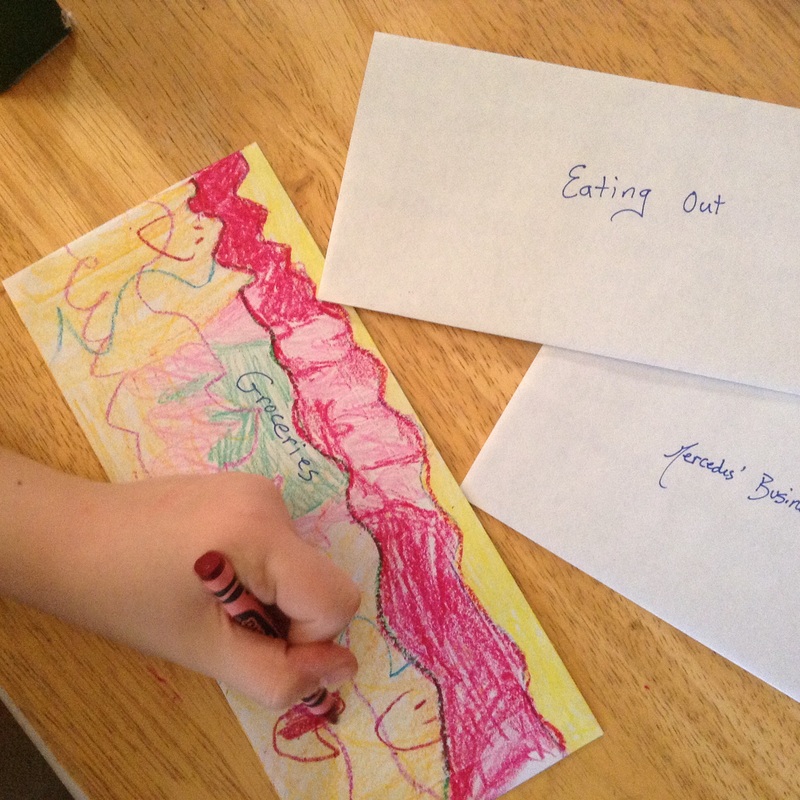 They loved coloring the envelopes. They know that if a certain envelope is empty, we have to wait until it’s filled again in order to make a purchase. 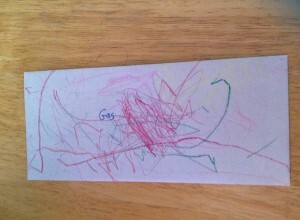 We discuss Mommy and Daddy going to work, and that those hours of work are traded in for money. That’s how we fill the envelopes. My Middlest wants to do chores to fill her own envelope. It’s an easy and fun way to teach financial responsibility. 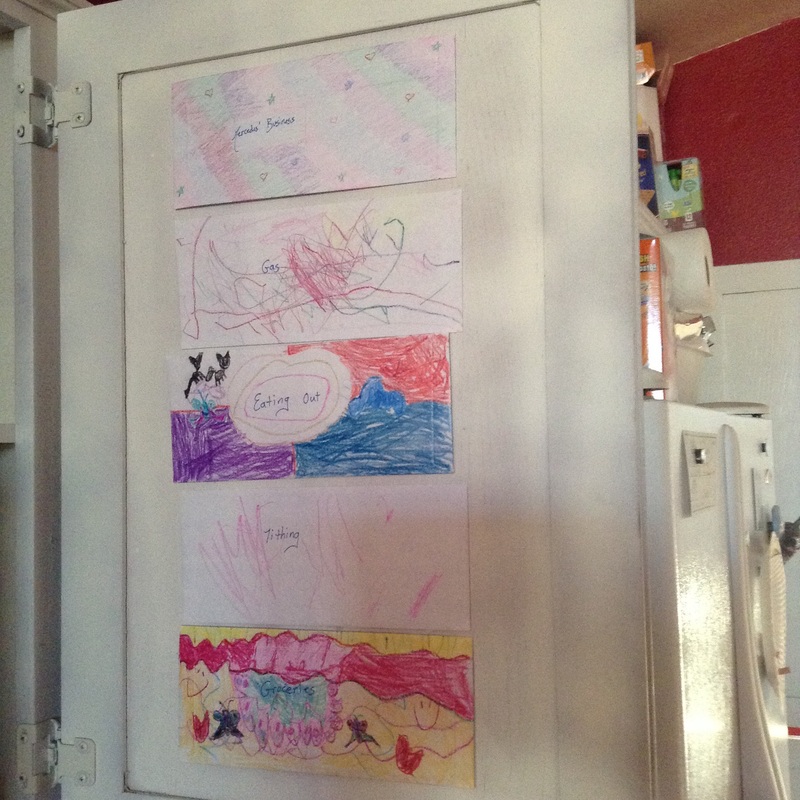 After labeling and decorating the envelopes, we taped them on the inside of the cabinet door for easy access. Do you use the envelope system? If so, how does it work for you? Please let me know!